Product #3786 | SKU DDBD-R-I/5 BIND 6X | 0.0 (no ratings yet) Thanks for your rating! This particular 10-sleeve binder, with a label inserted cover for easy organization, comes equipped with 5 Archival Gold BD-R discs- the complete package for anyone beginning to archive just about any type of data. 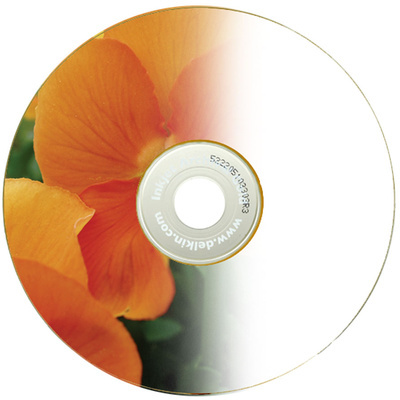 Plus, our Inkjet surfaced DVD-Rs allow you to add a personalized touch to your disc using your at-home Inkjet printer. Each Archival Gold BD-R disc holds an impressive 25GB of data- about 5 times the largest DVD-R capacity and 33 times the largest CD-R capacity. Allowing you to store more images in a single location, the Delkin BD-R will reach full capacity in only 23 minutes with market-leading 6X speed. This is twice that of standard competitors, offering the same superior accuracy and precision. Another notable advantage of the Archival BD-R is its unique ability to produce up to 2 hours of full high definition playback or 23 hours of standard video. This remarkable feature is made possible by the unique blue-violet laser utilized by all Blu-ray recordable drives that allows data to be packed more tightly into a compact space. How do Archival Gold BD-R discs differentiate themselves from their standard, less expensive counterparts? The most distinguishing characteristic of standard discs is that they typically have a limited useful life of 1 to 5 years. Exposure to natural elements like UV light, heat, and humidity as well as cheap manufacturing techniques and inferior design will cause quick deterioration to most discs over time. In contrast, a large fraction of the cost to produce a Delkin Archival Gold disc can be attributed to the use of the most advanced Japanese polymer hard coat technology. Our distinctive coating provides incomparable damage protection from scratches, stains, and even fingerprints, offering far more security than similar uncoated media.